"And I would like to see all the Upper School at 1.30 p.m. in the Music Room." That was how it started. For most of us it was more than our first experience of the stage; it was our first contact with opera, it was the first time we had sung with an orchestra, and it was also the first time that we had seen real girls in a Salvatorian College production. The Sixth Form of the Sacred Heart Grammar School kindly lent us these fairer members of the cast specially for the occasion. Very unpopular indeed was the selection procedure, which over-shadowed us towards the end of the Christmas Term. It began with a compulsory audition, but the final choice of appearing, as long as you were up to standard was left to the individual - or so we were told! After placing, like many others, an option of "willing, if pressed" we were vainly confident that we had heard the last of it. Many were called and most were chosen. Musical scores and libretti were then issued and these made the production seem less remote and more coherent. By now we had a deadline - 13th March and some of the means to attain it, so with little more than eight weeks to go rehearsals began in earnest. Soon confidence and performance were improving hand-in-hand and later the girls' chorus started to rehearse with us after school. 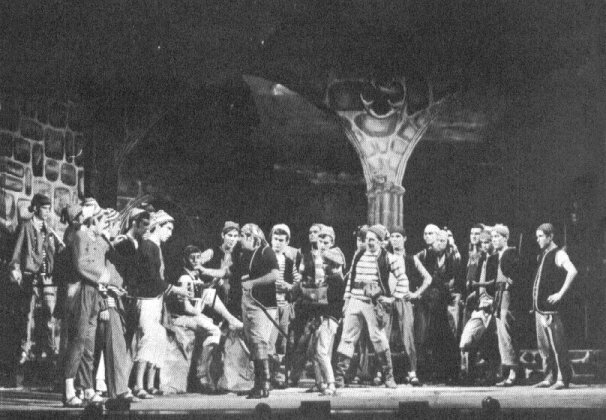 By now the total number in the cast had risen to seventy-two, which shows how much musical and dramatic talent had been lying dormant in the Upper School. A rehearsal called on our half-term holiday proved to the whole cast, and a still patient pair of producers, what we all seemed to know: our singing was worse than pathetic, our acting somewhat below that standard, and precious few still did not know the words, in spite of a rehearsal notice issued a month previously - "1st Feb. Words by heart." However, undismayed, and unconcerned, we the cast continued in our own inimitably sweet ways, to the great dismay and concern of Messrs. Byrne and Tufnell.  (How they did not get ulcers ... !) As it happened, we did gradually improve, due to the powers of the producers, and also Mr. Shovelton, who kept us together onstage as well as giving us the highly professional sound we now take for granted from him. We eventually heard J. Rossi's last performance bellowing "Right-Oh!" at the wrong time, which, although not written by Gilbert and Sullivan, drew much more laughter than the original, except from the producers. The Dress Rehearsal was at last upon us, and we heard the orchestra that was to accompany us for the first time. 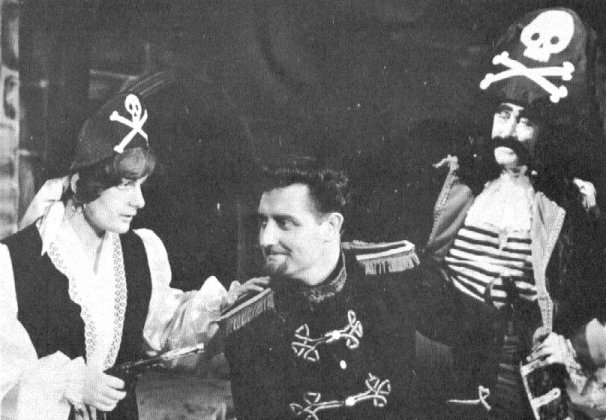 Thanks to the skill of the make-up department and what looked suspiciously like the contents of the Staff-room Ashtrays, our motley pirate crew, grisly, scarred and sun-tanned, would have done credit to any swashbuckling Pirate King. And so, the week passed, and it was Friday, the last night. Undoubtedly this was the best performance, although a recording made on the previous night drew orders for fifty long-playing records from the cast. But suddenly it was all over, and off came the costumes and make-up for the last time. It had been a memorable production. It would be unfair, however, if at this point we were not to accord any attention to the leading characters. They were all excellent, but A. Welling's individualistic portrayal of the Major General must deserve the highest praise. It was apparent to all that he was seeing this part from the inside, yet at one early rehearsal, when quiet progress was being made, he was heard to remark: "All I need now is to learn how to sing!" Frederic (Mr. G.R. 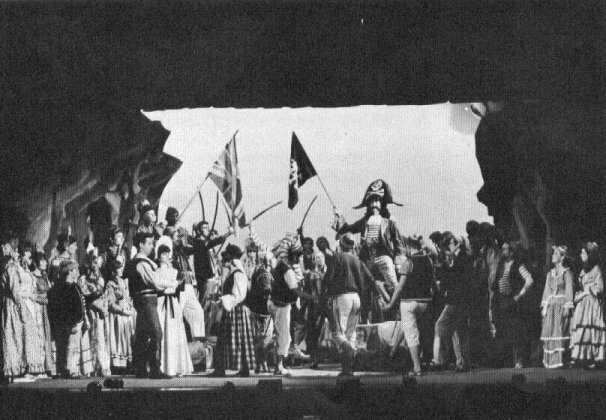 Shovelton), Samuel (E. Grandi), Mabel (Miss R.J. Staton), the Pirate King (Mr. E. Martin), and Ruth (Patricia Sullivan), were all played and sung so admirably and faithfully that it would take a great deal of space to sing their several praises. This account would be incomplete were we to fail to mention the two people without whom, as the phrase goes, the entire production would not have been possible. They are, of course, our co-producers Mr. P. Byrne, who was also Musical Director, and Mr. C.F. Tufnell. Their masterful guidance from the first informal rehearsal to the last performance ensured a confidence without which the production would have lacked its tremendous verve and vitality. Our thanks to them both. Our thanks are also due to the parents who provided us with such a large number of really splendid costumes, to Mrs. E. Griffiths who as Wardrobe Mistress organised the wearing of them, to Mr. J.H. Henry who managed the Box Office so well that tickets were absolutely sold out one week before the Dress Rehearsal, to the Stage Crew who probably put in as many appearances and man-hours as the three choruses put together, and to hosts of others who lent their help in one way or another. Finally, let it suffice to add that we all enjoyed the experience. It must have been quite a spectacle from the auditorium, too. Many people quoted it as being the best School production they had seen and after one performance, when Father Dominic was summing up, one gentleman could not restrain himself from showing his approval - "It was wonderful", he shouted.